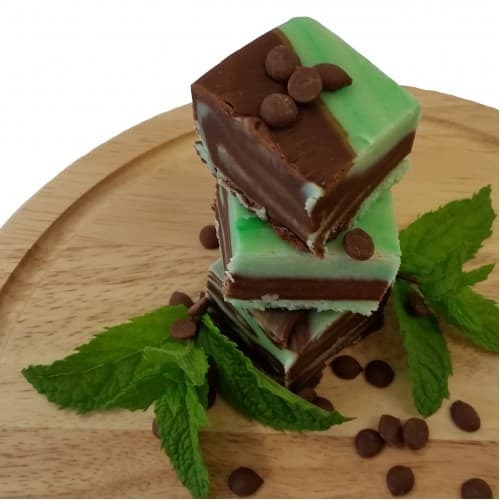 Gluten Free & Vegetarian ~ decadent milk chocolate fudge swirled with mint fudge, great for those who love the 'After Eight' combination of chocolate and mint. Makes a perfect gift! 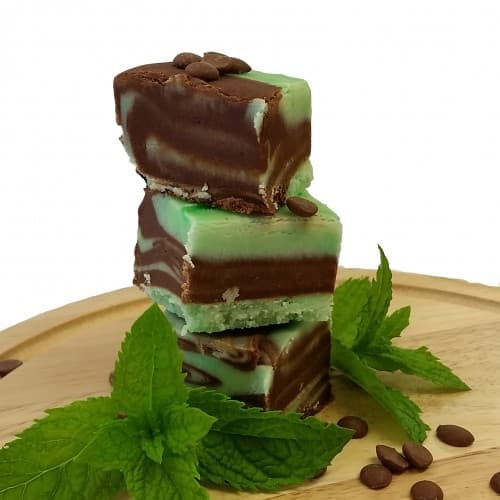 Ingredients Butter (MILK), Cream (MILK), Sugar, Corn Syrup, Semi-Skimmed MILK, Vegetable Oil, Water, Chocolate 11% (cocoa solids 50%, sugar, cocoa butter, fat reduced cocoa powder, emulsifier soya lecithin), Peppermint Oil, Green Colouring (Water, Sucrose, Glucose, Glycerine, Colours E102, E142).